Our RV Solar kits come with everything you need from start to finish, all of our kits are plug and play with free shipping. We also have techs available to assist you with your install if needed seven days a week. 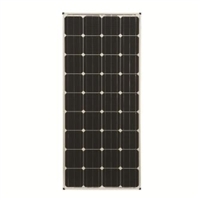 We carry a full line of RV solar kits which are top of the line with several options, and also Zamp Compatible RV Solar kits, from the smallest 80 watt panels up the newest 180 watt solar panel by OffTheGridRVs. 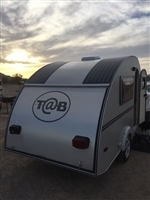 If you go to the sub categories above, you will find several RV solar kits including our "L" series 80 watt panel for Airstream RV's HERE. If you have a Zamp Solar Ready RV with a 3 port roof cap, then you're pre wired for one of our Zamp Compatible solar RV systems. This means the wiring is already in place and wired to the roof cap, so you will need an SRRV kit HERE. 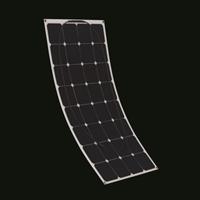 The SRRV solar ready kits include the panel, mounting brackets and the controller to complete your system, and they are available from 80 watts to 540 watts with a 50 amp Bluetooth controller by Victron Energy. If you have a single Zamp Sidewall port near your batteries or on an outer wall of your RV, then your rig is wired for our Zamp Compatible Portable Solar Kit HERE. If you're starting from scratch, take a look at the Deluxe Hard Wired Kits HERE from 80 watts up to 540. If you aren't sure which RV Solar Kit or which size you need, you can reach us via live chat on the bottom right, phone or email on the "contact us" link at the top of any page HERE.